Media Releases on CURRENT ITEMS below.. Thanks to the North Shore News (Vancouver, BC), for this great news story on ALTAN. Vancouver, BC (August 7, 2014):Spanish sensation and platinum-selling artist Carlos Núñez is nothing less than a rock star. The U.K.’s Guardian newspaper described his genius as “pipe music as if played by a Coltrane or a Hendrix.” For the first time this September, Núñez brings his wild energy and musical virtuosity on the Galician bagpipes to Canada’s West Coast. He and his band play North Vancouver’s Centennial Theatre on September 19 and Nanaimo’s Port Theatre on September 24. For a glimpse of Núñez’s style, click here. Núñez was born in 1971 in the port city of Vigo, Spain, and began playing the Galician bagpipes, or ‘gaita,’ at the age of eight. Renowned for his charismatic interpretations of traditional music, he sees the various forms of Celtic music as a brotherhood that brings people together beyond languages and frontiers. His tunes are inspired by those of the ancient Celts who occupied Galicia 2,500 years ago as well as the Celtic traditions of Brittany, Scotland, and Ireland. His work is also influenced by other countries where Galicians have settled, including Cuba and Brazil. The gaita is thought to pre-date the Scottish bagpipes and Ireland’s uilleann pipes. Among aficionados, Núñez is as renowned for his prowess on the gaita as Jack White is for his guitar work. He’s also a master of the recorder, the pennywhistle, the ocarina, assorted pipes, a Breton oboe called the ‘bombarde,’ Breton bagpipes, the Jew’s harp, the tin whistle and the flute. Canadian musical talent joining Núñez on stage in Vancouver includes: Chieftains’ choice fiddler-stepdancer, Jon Pilazke; members of the Dowco Triumph Street Pipe Band, one of the top ten pipe bands in the world; the Christie Dancers, the CeltFest 2014 Dance team; and, Kasandra “La China”, who is known for her unique style of Flamenco dance. In Nanaimo, Champion Highland pipers James P. Troy and René Cusson; former World Champion Highland Dancer, Ross Armour; plus members of the Glengarry and O'Connor-O'Brien Schools of dance, will accompany Núñez during his performance. Box office 604.984.4484 or online here. Box office 250.758.0208 or online here. 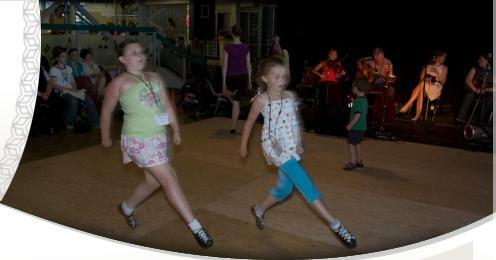 CeltFest Vancouver Island develops, supports, and celebrates Canada's living Celtic cultural traditions through an international, intergenerational, and educational festival that features artists from British Columbia, and from around the world. Year round, CeltFest showcases musical and dance artists not often seen in BC. For more information visithttp://www.celticperformingarts.com/ or call 1.866.301.2358 (CELT). Copyright © 2014 Serena Public Relations Inc., All rights reserved.